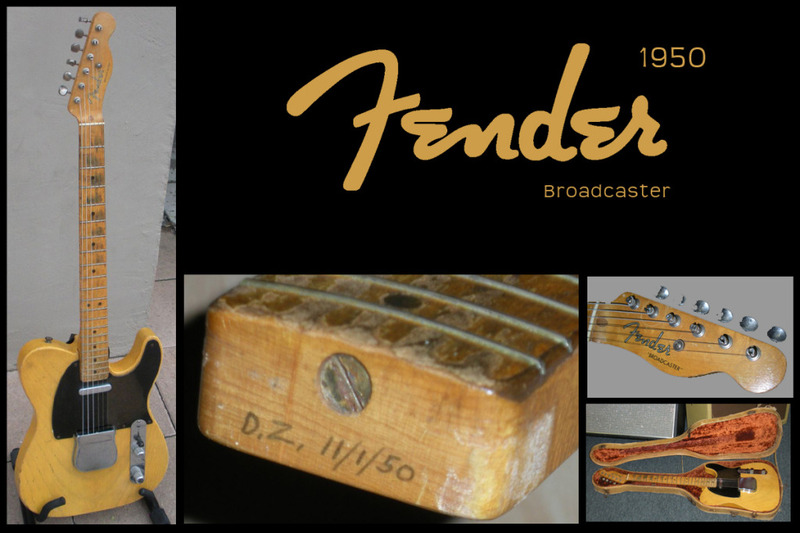 The Guitar Column: Leon McAuliffe 1950 Fender Broadcaster on eBay! Here's a rare gem. 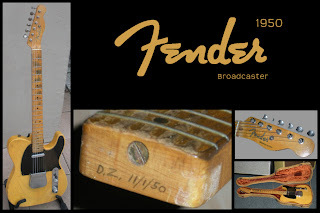 You don't come across too many Fender Broadcasters on eBay, let alone one belonging to a pioneering country guitar legend. Leon McAuliffe, one of the finest pickers to absolutely own it on both the six-string and steel guitars, was a long-standing member of Bob Wills And The Texas Playboys. An untitled steel guitar instrumental written by McAuliffe became Steel Guitar Rag which was to be the biggest hit for the Texas Playboys. 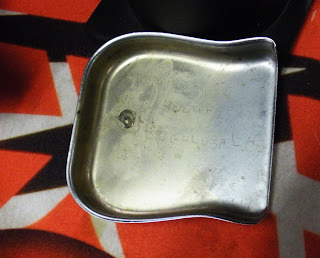 To add to the cool factor, the inside of the bridge cover is inscribed 'Property of W.L. McAuliffe, Bogalusa LA', perhaps by McAuliffe himself. At a Buy It Now Price of $150,000, this Fender Boradcaster doesn't come cheap but it is in pretty good shape for a workhorse instrument that is 60 years old! As usual, do the necessary research before shelling out the dough! Hey JP, did you notice the Van Halen-esque striped graphic that the ashtray bridge cover is sitting on? Yeah, I did several takes on that... Decided to quit scratching my head when my scalp began bleeding. Hi guys Jordan Warner here. I am a guitar broker that works for a few dealers in Phoenix. This is my listing. Got a great laugh about the Val Halen comments. Thats actually a guitar mat not a graphic. Thanks for posting this! Its cool to see some of my artwork and photos showing up in google images! I have decided to leave the ebay community and focus on arizonaguitarbrokers.com were this guitar is now listed. Feel free to call me anytime if you have anything for sale or to buy. Hi Jordan, just checked out your site -- that's some inventory you've got there! I will highlight your site on my next post.